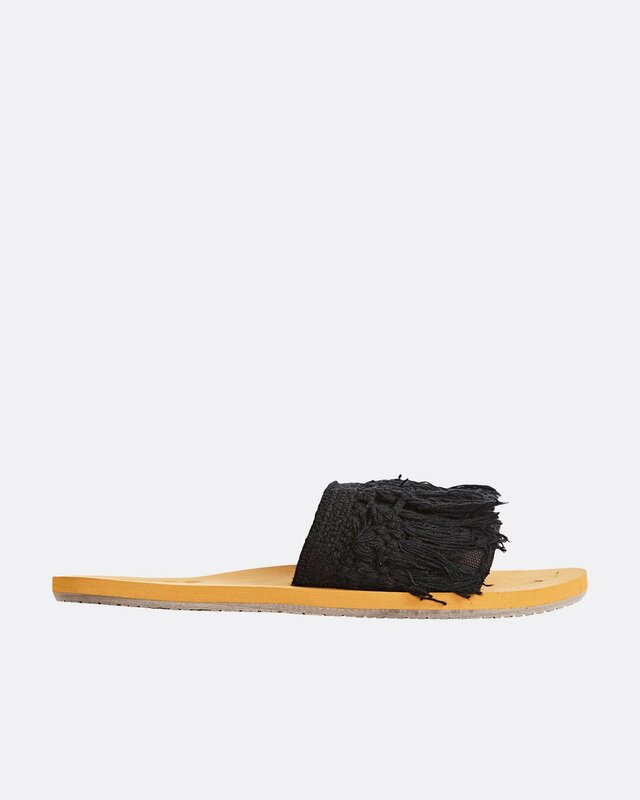 A bohemian slide with a minimalist sole. Bringing nomadic design elements to an essential slide sandal, the Coastal Vibes features a crochet upper and barely there sole for a nearly barefoot look. 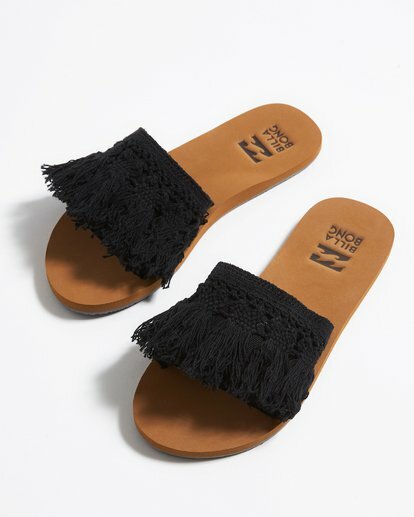 Slide with crochet fringe detail.